Are you preparing to build a new retaining wall in Sydney, Newcastle, Wollongong or the Central Coast? Whether it’s a retaining wall for your garden or a large wall for a commercial site, Gorilla Wall can help you. We stock all the supplies you need for your retaining wall, including galvanised steel retaining wall posts. Gorilla Wall only stocks high-quality products at affordable prices – there are no overpriced supplies or flimsy materials here! As well as this, we offer delivery or collection services across Newcastle, the Central Coast and Sydney. If you are going to build a retaining wall, you want to make sure that all the hard effort and money you put into the project will last. That’s why we recommend building a retaining wall with steel posts that are thick and strong. At Gorilla Wall, our steel beams are hot dip galvanised, meaning they won’t deteriorate from rust. While the cheaper price of painted steel beams might be tempting, they can’t stand up to these same high standards. Most retaining wall systems also use thin steel that can bend and warp under pressure. Our advice? Don’t take the risk! Only use the highest quality steel posts for your job. This makes for a strong footing for your retaining wall. When coupled with concrete, it will withstand a heavy load or pressure from the soil which the wall is retaining. 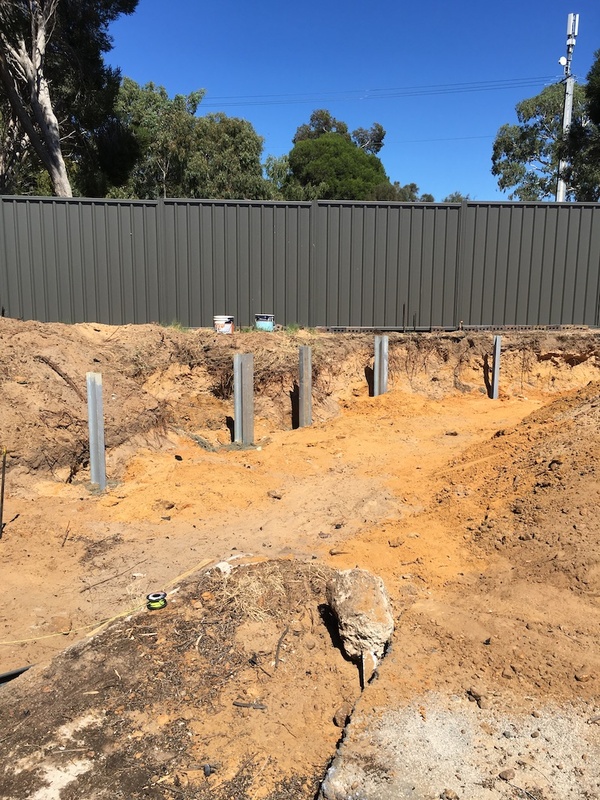 The steel beams we sell are of premium quality, and together with our engineered concrete sleepers, they make makes a retaining wall that is superior and will stand the test of time.